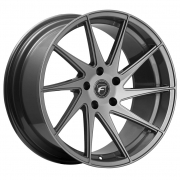 Forgestar Wheels Rims | Wheel Specialists, Inc.
Forgestar wheels have become the newest favorite wheel choice of racers in amateur and professional sports car series in the United States and around the World. 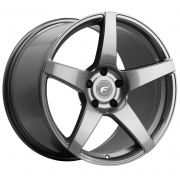 Using exclusive Rotary Forged Flow Forming technology Forgestar wheels are designed for strength and performance. 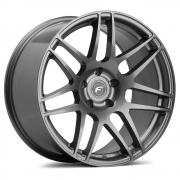 Forgestar Performance Wheels proprietary design fitment and engineering allows the customers to choose between a range of offsets for every wheel width that is offered for that perfect racing fit. 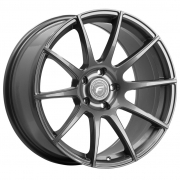 All Forgestar wheel designs are tested using Finite Element Analysis (FEA). The computer model enables Forgestar to analyze the design under a simulated load and optimize strength, fatique, and stifness while minimizing mass to decrease rotational inertia. They then test their finished products beyond SAE JWL VIA standards. 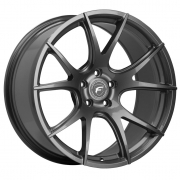 This allows a racer to choose a wheel that will perfectly optimized for their own individual performance vehicle.